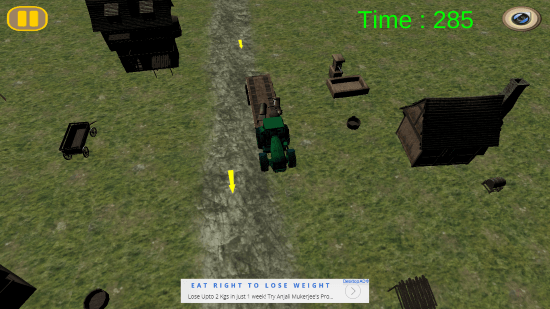 Farm Tractor Simulation is a free simulator game for Windows 8 and 8.1 computers. 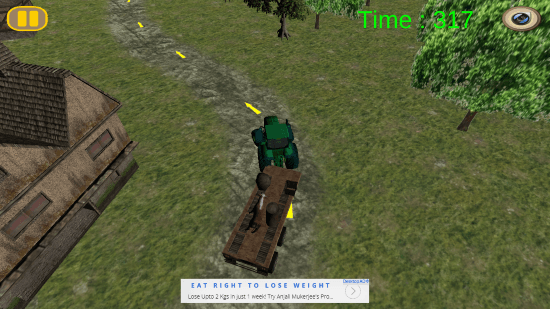 Developed by Game Canvas, this simulator game gives you realistic feel of handling a farm Tractor. You will not be driving just a simple tractor. Your tractor will be attached to trolley, loaded with multiple cargo. Your aim will be to move the loaded tractor from the source to a given destination. All of this has to be done while maneuvering the corners carefully, and avoiding the obstacles. You have to make sure that any cargo must not fall off. Make sure that you reach the destination within the given time limit. Go to Windows App Store to find this simulator game for Windows 8. Type the game’s name in the search box to find it. You may also follow the Download Link given below at the end of this article. With a size of 57.2 MB, this game will not much space on your computer. Click on Install to automatically download and install this simulator game for Windows 8. Playing this simulator game for Windows 8 is pretty simple. Use the navigation keys to move around the tractor. Press C to change the Camera Angle, and G to change Gears. Click on Play to start with the game. After you click the start button, You will have to select a Level. If you are playing this game for the first time, you will get only Level 1 unlocked. Play and complete Level 1 to unlock Level 2, and so forth. The first Level lets you drive around the Tractor without a trolley attached to it. You can play this level to get used to the controls and response of this realistic simulator game for Windows 8. Complete the level by reaching the destination in the given time. You can view the time ticking on the upper left corner of the screen. You can drive the tractor with almost 4 different camera views, which includes front view, and also bird’s eye view. These views let you move and place your tractor precisely. 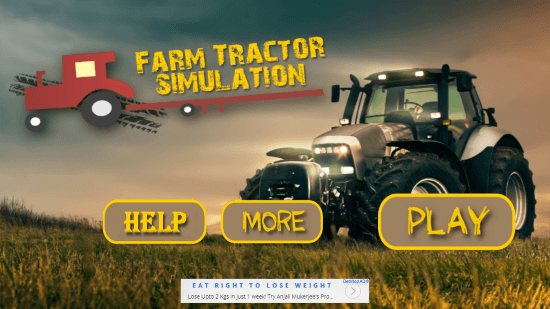 This simulator game for Windows 8 gives you a pretty realistic tractor driving experience. Apart from the fantastic handling and gameplay, the High Definition visual effect is really excellent; the same goes with the sound effect. 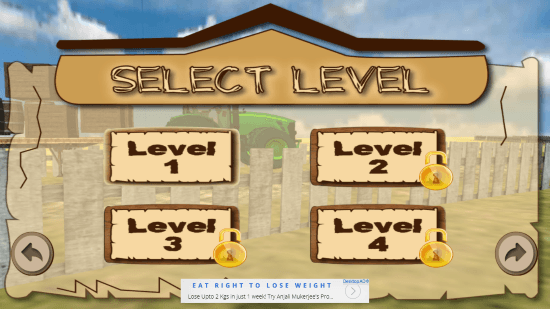 This game lets you drive tractor in 8 different levels, and each level has its own uniqueness. 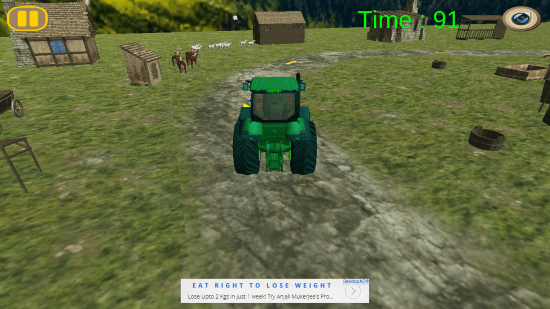 Install Farm Tractor Simulation today on your Windows 8 and 8.1 computers to find out for yourself.